“It’s a celebration of all things chocolate,” says Indianapolis native Barbara Disborough organizer of the festival. 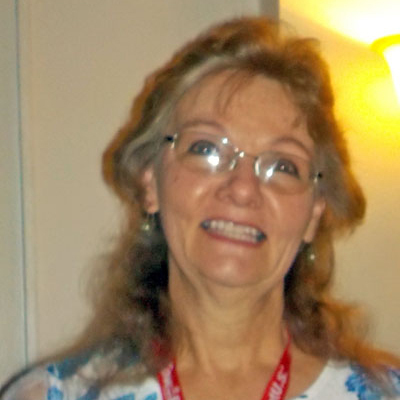 A long time self-described chocolate aficionado and chocoholic Barbara now resides in Interlochen, Michigan. She has made finding, eating, and sharing the best chocolate in the Grand Traverse area, her latest mission in life. 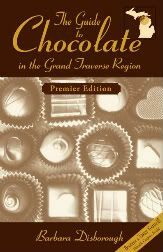 A retired respiratory therapist, Barbara has been so inspired by her love of chocolate she’s penned ‘The Guide to Chocolate in the Grand Traverse Region’. 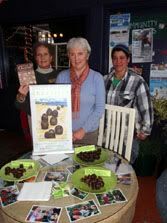 Barbara also hosts chocolate tastings, parties, and leads chocolate tours. Already known for its award-winning cuisine, wines and breathtaking scenery, Traverse City has become a contender in the world of Haute chocolate. The area boasts several fulltime chocolatiers and a host of other bakers, candy makers, fudge shops, specialty stores and even breweries that create and sell chocolates and chocolate-flavored products. Barbara covers over fifty locations in her book where chocolate lovers can find chocolate treats. At Phil’s on Front, a Traverse City bistro, you can find a “chocolate lounge,” where handcrafted chocolates are paired with wines and spirits. On the west end of Front Street, Susan Boyer’s shop, Chocolate Exotica, has been luring chocolate lovers in off the street with a wide selection of handmade truffles, barks, dipped fruits and delights like Louis XVI cakes (almond and chocolate cakes soaked with Grand Marnier, and layered with chocolate mousse and truffle filling). They join other well-established chocolatiers such as the Chocolate Den whose owners pride themselves on the fact that their truffles have only a three-week shelf life (because they refuse to add preservatives or use pre-mixed ingredients) as much as on the chewiness of their homemade chocolate-covered caramels. Kilwin’s of Traverse City, one of the oldest stores in an immensely popular chain started in nearby Petoskey in 1947 now has 50 outlets scattered from Ft. Collins to Ft. Myers. In addition to specialty chocolate shops and boutiques dozens of coffee shops, bakeries, cafes, and restaurants tantalize customers with their own versions of decadent hot chocolates, mousses, Black Forest Tortes and more. And we haven’t even mentioned fudge yet. 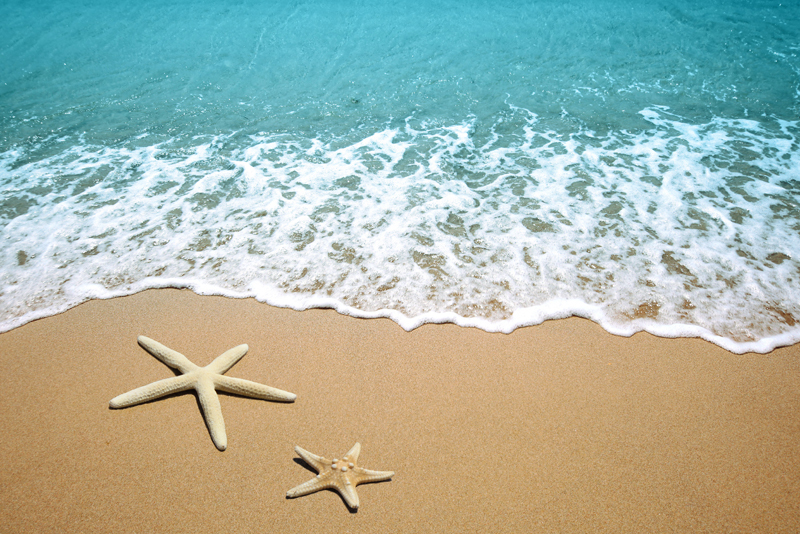 Locals playfully refer to summer visitors to the area as “fudgies”. The Mackinac Island area of Michigan is well known for its fabulous fudge. But the region didn’t begin to carve out a national reputation among high-end chocolate fanciers until 2004, when former social worker Mimi Wheeler began creating intensely-flavored artisan chocolates that blended powerful Ecuadorian cocoa with local herbs, flowers, fruits, nuts, and honey. Her tiny candy factory, Grocer’s Daughter Chocolate – located in the tiny coastal village of Empire offers such delicacies as lavender and rosemary truffles, and even a Mayan truffle flavored with a subtle but unmistakably warm dose of chili. Thanks, Mimi for your contribution to the wonderful world of chocolate. Here’s a great recipe reproduced with permission from Barbara’s Book, The Guide to Chocolate in the Grand Traverse Region’. Lightly butter an 8 x 8” pan, then lay in a piece of parchment paper or foil, allowing it to overhang the pan, and then lightly butter that too. In a heavy saucepan, over low heat, melt the chocolate with the butter. Remove pan from heat and stir in sugar. Quickly add walnuts, flour, and salt. Stir just until mixed. Spread in pan and bake 40-45 minutes. Remove from oven and set on a rack to cool completely before cutting. This recipe doubles well. Use a 9 x 13” pan, and bake 50-55 minutes. Enjoy! !